So who is Chunky Panday? I had to find out… To read the entire article click on the link below. 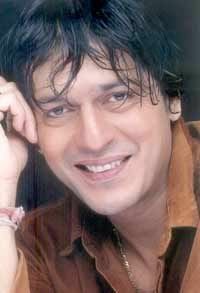 Ask Chunky Panday about his absence from the scene for six long years and he'll deliver a dissertation on "Bangladesh, Bangla films and Bangla food". The brief period that he spent "across the border" as he calls it, hasn't changed Chunky's sense of humour. If anything, there's a fresh look on his face and a renewed enthusiasm about his second innings in the industry. Your decision to make a comeback in the industry after six long years, seems to have been welcomed by the producers, what with the offers that you are receiving. I am glad about the interesting offers that are coming my way. I have already got a few good films including 'Bambai Se Aaya Mera Dost', 'Qayamat', 'Fresh Lime' and 'Yahoo', to start with. On the other hand, the past six years have been eventful for me in terms of acting. Actually, I wouldn't really call it a comeback. I was just across the border in Bangladesh, exploring some meaningful roles in Bangla films. I call it cross-border terrorism (Laughs). In fact, I have got a big film releasing there in August, one of the biggest films ever made. Thanks, DITHOT - I was wondering. I can't thank you and Liz enough for your background work. Prabu popped into my head too, gilly.